We are a leading manufacturer in the pool and spa industry. We have a worldwide recognized expertise in the design, the production and the marketing of controls, system platforms, pumps and value-added accessories for spas and hot tubs manufacturers, distributors, dealers and technicians. Complete series of keypads for spas and hot tubs. Certified pump lineups for small to swim spas. Added value to increase the quality of the spa experience. Total flexibility, total compatibility, total satisfaction with Gecko's X, Y and Class series of control systems for spas and hot tubs. Our new Y series boasts impressive features and technology in reliable, safe, long lasting and user-friendly control systems designed to be easily installed, powered and connected to pumps and accessories of spas of all sizes and configurations. Top of the line in.yt has all it takes to easily power larger size spas. in.ye is the perfect solution to bring your customers’ spas to the next level. Our new in.yj is perfect system for any small footprint spa. in.xm and in.xe platforms from our X series include all the features and functions the spa and hot tub industry expects in stunning power box designs that break all rules and standards with their superb combination of looks and functionality. Rugged, compact, slim and built to take full advantage of its cutting edge electronics, in.xe meets all the expectations of spa manufacturers. Form truly follows function in this system designed for spa OEMs and packed with innovative built-in features and ground-breaking flexibility. Intelligent remote water heating system designed to be totally maintenance free, in.therm is a 4kw remote heater with integrated electronics. M and S-Class series of control systems offer unbeatable quality/cost ratios with the essential features needed to meet the high level of performance, functionality and reliability spa manufacturers have come to expect from a digital pack. A universal pack, M-Class can control one or two single- or dual-speed pumps, a blower, 5.5 kW heater, light, circulation pump, fiber box light and ozonator. S-Class is an entry level pack for 120/240V applications that will support up to 2 pumps, 1 blower, a heater, a light, ozonator and a circulation pump. so much at your fingertips! From touch screen display keypads, to color or lcd and led keypads, take a look at our series of multi-function and multi-feature keypads for spas and hot tubs. Imagine everything you ever wanted, top side controls to be and here you have them. Take them in your hands, get their feel, press a key or two, look at their display and you'll know you're holding Gecko’s promises of advanced and reliable technology. Introducing our new full featured in.k1000+ keypad with color capacitive touch screen display. Parting ways with physical buttons, keys and overlays, our in.k1000+ touch screen keypad is fun to use, simple to learn and features an intuitive and engaging one level menu interface. Interactive display icons and on-screen messages make for a unique, truly interactive and attractive user interface. Powered by a 400 MHz processor, in.k1000+ features a 4.3 inch 256K color LCD capacitive touch screen display. With their bright, full color display, Gecko’s in.k800 and in.k500 keypads provide the ultimate user experience with their screen’s high resolution that brings spa user interfaces to a new level. 10 keys, large color display, menu-driven interface for Gecko’s X and Y series of control systems for spas. 7 keys, color display, menu-driven interface for Gecko’s X and Y series of control systems for spas. Our LCD and LED series of keypads feature various configuration profiles, large displays and menu-driven or streamlined interfaces to let users control all functions of their spas and connected accessories. 11 raised keys, large LCD display, menu-driven or streamlined interfaces for Gecko’s X and Y series of control systems for spas. 7 raised keys, large LCD display, streamlined interface for Gecko’s X and Y series of control systems for spas. 4 keys, lcd display, streamlined interface for Gecko’s X and Y series of control systems for spas. 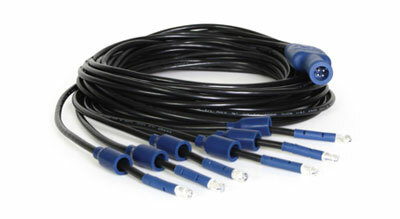 4 keys, LED display and 7 light indicators for Gecko’s X, Y and Class series of control systems. 7 keys and large LED display with indicators for Gecko’s X, Y and Class series of control systems. 8 keys and large LCD display with indicators for Gecko’s X, Y and Class series of control systems. 8 keys, large LCD display and streamlined interface for Gecko’s X, Y and Class series of control systems. Auxiliary keypads designed to be installed as a second keypad on larger spas and dedicated keypads to control value-added accessories like Gecko's in.stream 2 outdoor audio station. 7 backlit raised key audio wired remote control for in.stream audio streaming station. 7 key audio wired remote for in.stream audio streaming station for spas. Compact 4 key auxiliary keypad for Gecko’s X series of control systems. Compact 4 raised key auxiliary keypad for Gecko’s X series of control systems. Aqua-Flo by Gecko pumps provide greater water flow rates more efficiently which translate, for spa owners, in increase benefits and reduced operating costs. Our pump line-up includes certified models for all markets available in multiple configurations to cover all needs, from the biggest to the smallest spas and hot tubs. Our north-american pump line-up includes certified models available in multiple configurations to cover all needs, from the biggest to the smallest spas and hot tubs. The Flo-Master xp3 pump is designed for today's larger spas with multiple jets requiring increased flow and provides optimal performance through efficiency rather than brute force. Aqua-Flo by Gecko's xp2e pump provides greater flow than its xp2 sister model allowing spas to use more jets per pump, increasing the features and benefits offered to customers. xp2 outperforms any other 48 frame pumps. With a shut-off head of more than traditional 48 frame pumps, but less than 56 frames, they are perfect for all types of spas. Cost-effective Flo-Master hp/cp pumps are designed with a unique, high-performance impeller providing flow rates that exceed all tested competition. Smart design, cool runnings, new cmxp pumps feature increased filtration efficiency, greater flow to heater and compact design for continuous duty operation. Circ-Master hp/cp pumps, designed exclusively for spas, take 24-hour filtration to a new level, delivering the highest GPM of any recirculation pump on the spa industry. WhirlMaster pumps are Aqua-Flo by Gecko's smallest, most inexpensive jetted bath pump offering the same quality, reliability, and service at a greatly reduced cost. Our CE approved pump line-up includes certified models available in multiple configurations to cover all needs, from the biggest to the smallest spas and hot tubs. The high performance of the xp3 CE pump allows spa manufacturers to use a lower amp pump and still enjoy the same flow rates received from a higher amp pump. Blue to the core, bold, lean and great for the bottom line, new Flo-Master’s XP2e bl ce pumps calibrated to optimize performance and enhanced energy efficiency. The xp2e CE pump provides greater flow than the xp2 CE allowing spas to use more jets per pump, increasing the features and benefits offered to customers. New environmentally friendly Flo-Master’s XP2 bl ce pumps can be easily customized and calibrated to optimize performance and enhanced energy efficiency. Flo-Master xp2 CE pumps, designed for heavily jetted spas, easily outperform every other 48 frame pump while utilizing the same space requirements. Smart design, cool runnings, new cmxp ce features Increased filtration efficiency, greater flow to heater and compact design for continuous duty operation. Circ-Master hp/cp CE pumps, designed exclusively for spas, take 24-hour filtration to a new level, delivering the highest GPM of any recirculation pump on the spa industry. Increase the quality of your customers' spa experience! Wireless control from mobile devices, water sanitization, audio streaming and other value-added accessories and peripherals to raise the spa experience. Remote supervision of installed base for spa and hot tub professionals. More than a new pro app, a smarter way to work! in.touch 2 transmitters and iOS or Android application with push notifications make it very easy to control and program your spa even when you’re away from home. in.touch 2 is now fully compatible with Amazon Alexa’s and Google Home’s complete families of home vocal assistants. You can now “talk” to your spa! Gecko’s in.lu.me is designed to be the perfect companion to the in.mix 300 lighting console and to dramatically ease the whole process of installing cables, lights and other equipment. Designed to deliver clean, crisp rich sound in the hi-fi rendition expected by music lovers, in.stream 2 features Class D amplifier technology and a built-in power supply. Create the perfect ambiance with Gecko's in.mix 300. Choose your colors according to your mood or synchronize zones for a real light show in or around your spa. 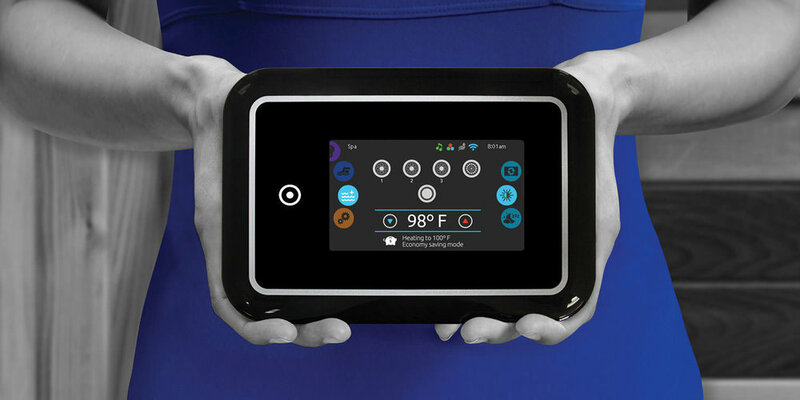 New smart system interface lets you select, use and synchronize alternative heat sources, like heat pumps, to efﬁciently keep the spa water warm. The most efficient, reliable and safest bromine based water sanitization system ever offered to spa owners. Clear, clean and soft water everytime you use your spa! By grouping jets into distinctive sets and electronically controlling the action of each one of them, the DJS-1 adds a totally new and highly effective dimension to any spa.